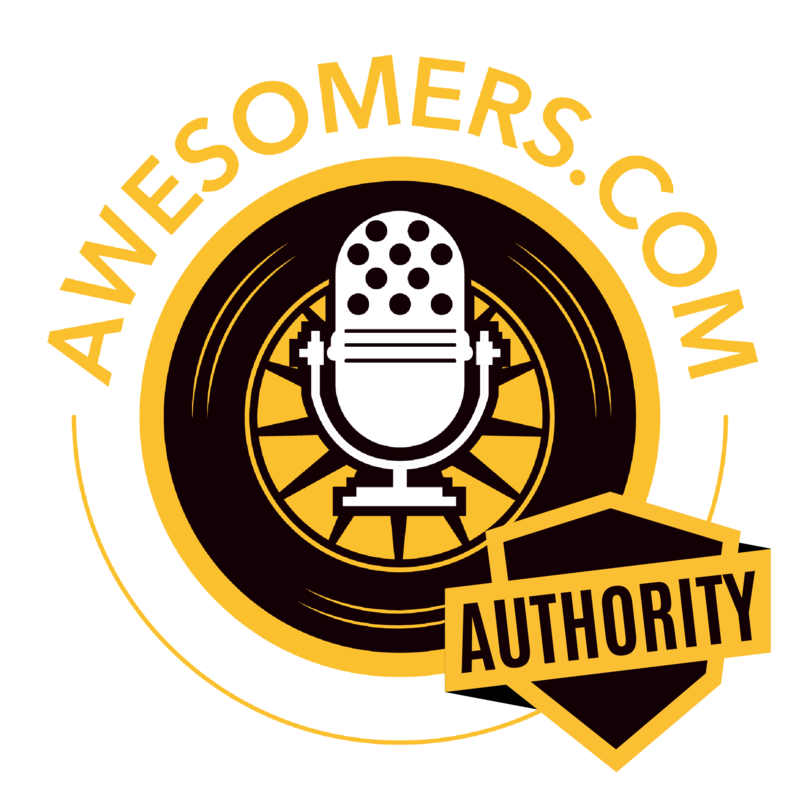 Awesomers Authority - We'll talk to subject matter experts that talk about various topics that would be of interest to other Awesomers who are listening including, but not limited to, starting a business, running a business, best marketing ideas, sourcing in China, organizational development, tools to help your your business more profitably and much more. Any smart entrepreneur knows that copywriting can incredibly increase sales and conversions. How she juggled family life and business. Some of the brain hacking efficiency techniques she followed to launch a successful business and more! So put on your headphones and learn how you too can use hypnotic copywriting to increase your sales. Steve: You are listening to awesomers.com episode number 79. All you have to do is pop on over to awesomers.com/79 to see all the relevant show notes and details about today's episode. Now, today is part one of a three-part series with our special guest, Diane Boerstler and she is an MNLP who clients kindly referred to as the hypnotic Amazon copywriter and the wolf of Amazon. And by the way, wolf of Amazon - pretty good copywriting right there because that reminds me of the Wolf of Wall Street. So already a really positive association. Diane is a top-ranked international business growth expert who's helped generate massive profits for small companies globally by leveraging the power of hypnotic NLP infused sales copy. And later I asked, “What does NLP means?” And she points out it means a neural linguistic processing or something like that I don't want to say it wrong but she clued me in and gets me educated. So not only does she work on that in NLP and few sales copy, she helps on the business mindset shifting strategies. When she's not cranking out high converting copy or implementing business growth strategies, you'll find her walking on the ocean with her husband and four kids running the community PTSA, supporting philanthropic events - as if I've never heard of that word - and guiding her School District and the Washington State Legislature on education policy as an elected Orcas Island School Board director. So this episode, we dive in with Diana. We just talked about a little bit of her origin story and I would get right to the heart of what makes you know her business and what makes her tick as well. Hello Awesomers! 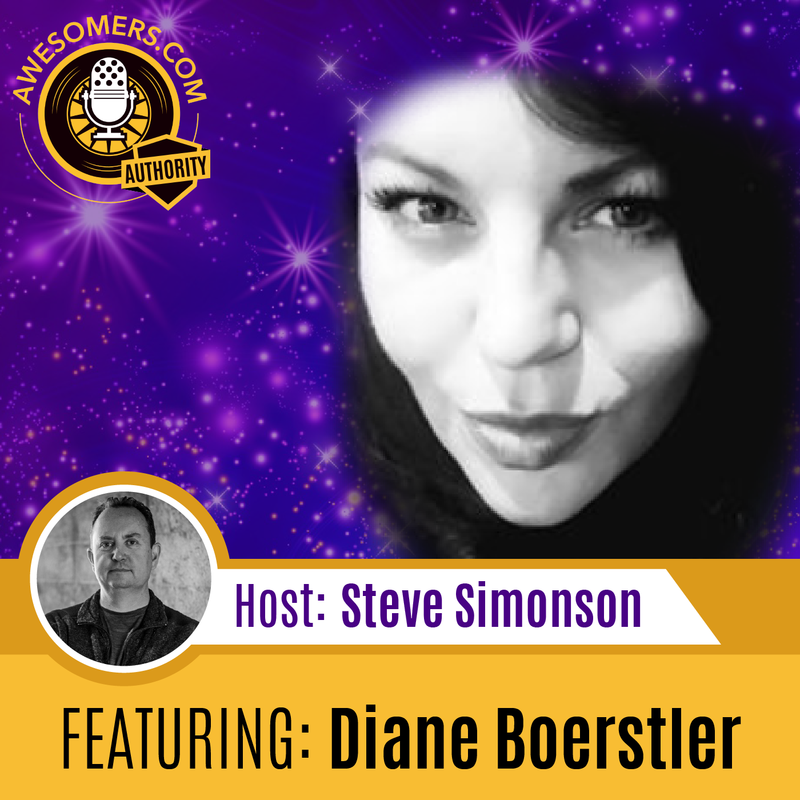 It's me Steve Simonson and here we are again on another episode of the awesomers.com podcast and today I'm joined by Diane Boerstler. How did i do on that? Diane: That's great! It's perfect. You got it right. Steve: I tell you I've had a pretty good run of getting names right although I feel like you're probably being a little generous but thank you for that. And thank you for joining me today. Diane, I've already done kind of a bio and reading for the guests so they kind of have the the high-level view of you but can you tell us kind of where you live today and what takes up your day to day time in your business day? Diane: Oh my gosh. Okay, it's a great question. So first of all I live in Orcas Island, Washington which is this amazing island off the coast of Washington. You can only get here by about a 1 hour ferry ride or you can take an airplane and it's really cool and it's kind of an entrepreneurs, micro entrepreneurs paradise. There's a ton of us here who just work for ourselves either online or locally which is really nice. My day-to-day is actually a little bit crazy. I don't do the the standard nine-to-five. A lot of times, I get up at 3 o'clock A.M., work till 7:00, get my four kids ready for school then work again for about seven until three. And then in the evenings - I either have school board meetings, I'm going to look at school board official or PTSA or I have soccer or running club or some kind of play my kids are in. And then I come home feed them dinner at nine o'clock at night, I'm back to work again for a couple of hours. So it's really you know, it's really interesting fulfilling life but yes I mean that's essentially how I feel - my day, my kids and business and consulting. Steve: Well that definitely is a unique way. I'm a resident of the greater Seattle region so I've been to the Orcas Island and San Juan Island areas and loved it and anybody who has not been in this area, it really is you know like a paradise up there; a very unique and interesting island setting. Of course, I would probably recommend the summertime for best results. Diane: I think so too. Right now, it's actually raining at about 65 but the good thing is we do live on something called the banana belt which means that a lot of the year we actually have half the rate of Seattle and a lot more of the weather like San Diego. So it's you know, it's really really nice. It just now started raining up here which is... it'll be done by this afternoon. We'll be sunny and like 60 degrees. I'm actually originally from Duvall. Steve: Yes, believe it or not I am sitting right now in Duvall. Steve:As we speak at this moment, I’m sitting in Duvall. That is correct. Diane: That is amazing. I love it. I don't think I've ever been on a podcast or at summit with anybody from Duvall. I love it. Steve: Well, I'd like to think the global headquarters of Awesomers had started in Duvall but I do move around quite a bit. So it's definitely not uncommon to find me elsewhere but I'm fascinated by your journey. And one of the things I like to do is what I like to call the origin story, where we kind of dive into the very beginning. So let's go right back to that very first origin spot and find out where you were born. Diane: I was born in Monroe, Washington actually and I was born to two extremely poor parents. My mother, I think she was 17. She had no high school education. My father graduated from high school eventually but never really went to college and so we grew up what I like to call dirt poor, like literally dirt poor, like meals missing during the day kind of dirt poor. I'm the oldest of seven kids and so that makes a huge difference as well in terms of how far money goes. But my father, my mother was still very entrepreneurial. They were always testing out business ideas and how to make money. So my dad was good with his hand so he started his own construction company which my grandfather is you know actually in a construction company as well. And then my mother started her own preschool eventually when she wouldn't got her GED and then her associate's degree. So it's kind of raised in that you know you bootstrap it to the top. You figure it out and from the time in kindergarten where we had like no money at all until I graduated, my parents actually moved away when I was a sophomore and I stayed in Duvall to graduate from Cedar Crest. So at that point in time, we went from having nothing to having you know $20,000 lifestyle because my parents figured out entrepreneurship and so that was a really big movement in my life to be one of the people who was from parents who certainly struggled with everything to being able to go out and eat you know pretty much whenever you want, being able to afford having seven kids, being able to be involved in activities but in high school because I had that motivation, I actually worked 80 hours a week through high school. I became a manager at a restaurant at the age of 14. I mean it was, I always just had that. It's giving me that drive to just keep pushing forward and also really to help other parents who were stuck in the same situation. Steve: For sure. Well bootstrap beginnings really are a good way to you know understand the value of money. It's not hard for those of us who come from large families. I'm the oldest of nine for example. Very easy to understand that hey, when we're going to do something it better have some value because people got to eat and things need to happen. So I definitely get that now. We would need a whole separate episode to kind of outline your siblings activities. But in general, do they find themselves with an entrepreneurial interest as well like your parents ended up by having and clearly you have? Diane: Not one of them. My sister is actually a stay-at-home mom. She was a program director. My brother James is in Internet technology and security. Another is a firefighter and he jumps out of planes. Kyle is… what does Kyle do? Kyle is actually a construction worker and then TJ, still 11. Steve: Oh well, there you go. Diane: Yes, so maybe he's 12 now. He might be 12. Man, I hope he doesn't hear this and get mad. Yes, none of them are actually very entrepreneurial which is surprising but my grandparents on both sides are entrepreneurial and so that kind of all all delved down. And my husband's grandparents and many of his uncles are entrepreneurial so we both actually just work for ourselves. Diane: I did. Actually I was really motivated so I graduate around 17. I got my Associate’s Degree in a year down in Southern California and then I took a break and decided I wanted to figure out what I want to do with my life. I moved to Indiana, went to st. Mary's College and University of Notre Dame and then graduated from Saint Mary's after where I worked a little bit at Notre Dame for the National Science Foundation and then moved back to Washington. I immediately went to sales recruiting like executive recruiting. So yes, I mean I did go to college. I majored in statistics and I didn't touch which is so funny I didn't take a business course. Not even one. It was statistics sociology and therapeutic jurisprudence which is actually the way that law affects society. Steve: So therapeutic jurisprudence. Now that is you know, it would take me a semester to figure out how to pronounce that. So it's very it's intriguing. You know some of the routes that people's stories have taken. This is one of the reasons why we like to dive into that origin because you know, not everybody has the University and not everybody has the entrepreneurial parents or any number of I don't know interesting things you may have in your story. But everybody kind of ends up in a similar place when they say, “Hey, I want to do my own thing. I want to stake my own claim and and make some freedom happen.” So we're going to take a quick break and when we come back I want to talk about that first job a little bit and maybe some defining moments along the way. We're going to go right after this break. We'll be right back. Hey, everybody! It's me Steve Simonson, your little buddy talking to you through your headphones or wherever today and I want to introduce you to another Awesomer review hero. This hero is named Wayne RG and he left this wonderful five-star review quite humbling and here's what he said, “One of the greatest interviewers ever. Steve knows the right questions to ask. He really listens to the answers and then he asks even better questions that deepen the conversation and provide valuable insights. Pair that with awesome guests and the results couldn't be awesomer. With a little smiley face. Seriously though, his interviews are fascinating to listen to as if you are eavesdropping on a conversation between two successful and interesting people. And I want to just say Wayne RG, you are certainly my Awesomer review hero today. And those words mean an awful lot to me. I thank you for your kindness and your generosity and your describing me as a potentially interesting person that seems at odds with my own imposter syndrome but I really do agree that the people on there are in fact interesting. And I hope that we do make it entertaining and fascinating. Wayne RG, you are my awesomer review hero. You're listening to the Awesomers podcast. Steve: Okay, here we are back again everybody. Steve Simonson joined by Diane Boerstler. I'm going again in with that. Did I get it right that time too? Steve: Okay. You know I'll do this some post-production editing, make sure I get it right. So Diane help me understand - you mentioned in as you came out of university that you you got into your first job. Can you tell us a little bit more about that? Diane: I can. Just to clarify, most of the the people who went to school with University of Notre Dame, Saint Mary's College were extremely wealthy, from families that had incredible clout in power. I was not that person so I worked 40 to 80 hours a week to graduate in three years with the totally separate bachelor's degree from my associates. And so when I came out I had ample work experience so I came out into a job that paid I want to say, it was around $120,000 a year including commission and I was doing executive recruiting and it was executive recruiting and legal recruiting so it was really actually kind of grueling. If you can cold call an attorney or cold call an executive and get them to pay you 30% of someone's salary to you know, if you're persuading him to pay you 30% of someone's salary you're pretty set. And so that's actually what I did. I would walk around downtown Seattle and I would you know go into large offices and legal firms and basically pitch people I want them to hire. But I only held that job for a very short amount of time because I quit. I quit because there was a woman who came in and she was a Yale Law graduate. She was you know like third in her class. She was absolutely amazing; highly qualified, five years of experience, wrote for the the paper the bar paper, she was just excellent across the board and they wouldn't let me place her because she was deaf. And so I know and I have a big problem with that so I actually quit that job to go be incredibly poor and work in special education and ran a non-profit as a program director with 2000 adults with special needs because I saw that there was a big gap between and our job was to get them jobs. There's a big gap between people who had skills and what their specialised skills were and then people you know actually getting them jobs so they can become self-sustainable. So I did that for a while then I went back with recruiting sales and then during the time I was in recruiting sales, the economy collapsed and I had started a hard money lending finance company in the site. So that floated me a little bit and then I found out I was pregnant with our first daughter and she was born four months early right, so suddenly I went pretty big. Yes, we have four kids now and she was in the hospital for four months in the NICU. So she came out finally and I didn't have the job flexibility I needed to take care of her. I was working 80 hours a week. And one day in July, I want to see 2009 even running my company on the side. I had two companies on the side. Actually had this financial hard money lending capital acquisition company and I also had started tutoring company just to pay for her daycare. So I quit my job at that time and I gave my boss two weeks notice and that was it. And I said we're going to make it or were not because my husband had the health insurance and he made the exact same amount of money. So we slashed his income in half. I stayed home with her. I was already pregnant with our second child and somehow or another I had the right mindset and the grit to pull all-nighters for I think it was for many many years. I'm pulling all-nighters and sleeping like 3 or 4 hours a day to grow multiple different companies and so I've been self-employed for I want to say almost a decade now. So it's been really amazing and then in 2011, my husband was laid off and couldn't find another job. He was a what he called product planning engineer so he worked with Apple, Microsoft, IBM and that economy took three years longer to collapse and it just went down and so he was laid off and so he suddenly came home and he's not starting his own company but he didn't get to be a stay-at-home dad for I want to say five or six years. Now he's only working part-time. So you know we went from not having enough and both of us not being able to work our jobs to having enough for just one income. In Orcas Island with that income of all places. I mean it is pricey up here. Most expensive in Seattle so yes, I mean that's kind of my my long story of it. Now, we have four beautiful amazing kids; nine, eight, five and three. Three of them actually have special needs so that you know running a business with that, that's definitely a yes... I don't know what you would call it. It’s a challenge on a day-to-day basis because you've never, it's kind of unpredictable but we still managed to thrive so yes that's kind of my long story. I didn't work much before starting my own company. I didn't really have a choice. I was kind of thrown into having to make money from home because my daughter couldn't go to daycare for because she had seizures. So that's kind of the wraparound of that. Steve: You know, yes it's interesting how... so first of all you know kudos to you on being able to engineer the outcome that works. That's impressive. Secondly, it's interesting that you know there's this concept that we have. Here you were, you were hustling like crazy during school, working and schooling and you know doing all of this and then that I don't know temperament or that manner of working. You were able to just kind of parlay that into your regular, you know day-to-day business, working literally day and night and sleeping just in the little tiny bits that you could. But now, you've built something so I think a lot of people out there entrepreneurs and you know men and women alike can identify with this idea that there’s never enough time but you've figured out how to manufacture your own time by massive brain hacking efficiency. Diane: I'm an efficiency nut. So I've said every single mental mindset thing out there. I'm a master certified NLP practitioner trainer. I've studied emotional freedom technique, anything that clears out whatever is blocking you in your mind and then helps you move forward and then any strategies you can use to do that more quickly and any tools you can use, I'm all about those. I'm definitely one of the brain hacker types. Steve: Yes, I like that. Well anything to you know, to kind of get a leg up. So it sounds clearly like you know some of those defining moments of the special needs coming along or the job ending for the husband - these are things that kind of put you partially on the road where you are today. Is there any other defining moment or big AHA that struck you from kind of then to now? Diane: That little fire under my roof. So right after I left I thought we were going to be, I left my job, that we're going to be okay. I thought my husband was going to be able to get a second job and work through all this right. And I was already working you know full-time. First thing that happened was I fell asleep on the road while I was driving because I was so exhausted and I was pregnant I just come back from tutoring like 20 miles away down and down past 10th. And I fell asleep on the road and I almost crashed a tree and so that was kind of like the waking moment like I've got to be doing something different so I can actually spend time with my kids because I was a parent. But I never really, I would stand outside literally at our apartment. I would stand outside our sliding glass door. It was a little bitty paddy that we had and watch my daughter through the window orchestrating financial deals. I didn't really get to spend time with her. That was number one. Number two, I realized that my business wasn't doing enough at that point in time because the financial collapse. Hard money was becoming harder and harder to come by for real estate investors and so we had to give our car back and we started struggling with figuring out how we're going to feed our kids. I mean it's beginning in business. This was not like you know wine and roses. This was terrifying. All of a sudden I found myself using WIC which is a social services program that I was very grateful for. I haven't had to use it in forever. It was just a very short period of you figuring out how to get on medical insurance for the state. I mean it was crazy. Those were really big defining moments that made us say - okay we have to reorganize our entire lives. So we actually left our gorgeous apartment in Bellevue and packed up everything and moved to Indiana. Steve: Oh, that's interesting. I did not see that coming. Diane: And we lived in my mother's, my mother-in-law. She's absolutely amazing. She had a 900-square foot place but this point in time, I already had two kids okay and we weren't expecting to have more now. We have four but we have two kids and we lived upstairs and she lived downstairs. And we did that for four years. The first year, we started seeing massive stability but I was still the only one working. I was still way too nervous to give that up. So those were huge defining moments but just going from within one year in my business actually, I think it was with the mindset stuff that I did. It was like December. I put my foot down in December and then by August of that year, I was doing $5,000 a month and to me that was huge money working from home. Now to me, if I have $5,000 a month now, I’d have a panic attack. I mean I can't even imagine that but for me that was like all of a sudden - we can afford to go to McDonald's. Back then, that was a thing in the city, we would take kids to McDonald's to get a happy meal. We couldn't afford that. You know that's part of why I put together this huge training program because I understand these parents who are saying, “Okay do I buy more product and hope that this works? Or do I hire a copywriter hope this works in three months or a month and you know hope that I get back enough to pay my taxes, or my insurance payment that's coming through or pay for food on our table or do I you know not sleep for three years, learn how to do this myself?” I had to choose the not sleep for three years portion and I don't regret it one bit. But I just know how hard that is. Yo know you just can't provide no matter how hard you're implementing. You just can't seem to get there. Steve: It can be tough. We do live in this Facebook world or the Instagram world where everybody's tweeting pictures of their latest piece of cheesecake they're having and the the neat vacation place they're having and so forth. It does look like all rainbows and unicorns full-time but the level of sacrifice and the level of input that you have to put in to kind of get something going, it's often underestimated and I identify with what you're saying. It's really important. I thank you very generously for sharing. you know some of those moments people just don't realize. It definitely you know takes blood, sweat and tears you know. It just really does and so you’ve earned your way. Diane: Yes, we definitely earned our way here. I have people who walk up to me constantly in Orcas and say, “Oh my gosh. I love what you do. I want to learn what you do.” And I created this retraining program and ask me what percentage of people actually go through between writing me the email or Facebook or approached me in the street here. Ask me what percentage of people actually go through the whole training program and implement it and start a business? Steve: Boy, I will ask you that. Diane: It’s mostly 1 percent and they’re all online sellers. Diane: Every single one. And everybody says it’s amazing, I love it, I implement it but then they don't keep going right. They're like okay I went through it and it's great but they don't implement. They don't have the right mindset or they self-sabotage. I'm huge on self-sabotage right. Steve: Meaning you are aware of it but you're against it, I presume. Diane: I’m totally against it. Steve: The way you came into was I'm pro self-sabotage. Diane: No. Like what I said, I'm also a master NLP and EFT practitioner. So the biggest thing is people have these subconscious beliefs they don't realize they have and they're like those nagging little voices in the back of your head right, telling you you can't do it or telling you it's not going to work. And you're going to go through if you're a proactive person. You're going to take steps anyway. But until you get rid of those limiting beliefs, until you clear those out and replace those, you're going to have to put forward effort and willpower instead of just flowing in to success. And that was really the most defining moment for me, is when I started realizing that as opposed to you know I can work 80 times harder than anybody else but so can a janitor if that janitor has the right mindset. If they have the right mindset, they can lift themselves up and get to where they need to go. Both the tenacity and through the right mindset but if they don't, they're just going to keep spinning their wheels like a hamster you know on wheels in cages. Steve: No, that's quite right. I worked as a janitor in the single semester of college I went to after dropping out shortly after and I could say that most often, people forget this mindset is really based on that personal belief - what you can or can't do. I wasn't smart enough to know what I couldn't do so I just assumed I could do it and you know that worked out for me. I was lucky in that respect although you know luck is probably an easy way to say that. You know what would be really good right now? It would be to listen to one of our sponsors. Let's take a listen. Go! Steve: Well, as you can see Diane's full of energy and brilliant ideas and certainly understand you know that her background and some of the challenges she faced has led her to this great point where she's at today. It's fascinating to see that literally from the same small town that she is, at least I graduated high school in the same region she's from, I didn't know that before we went in. It's a really fun origin story. Again this was just part one of the three part series. So don't forget to log in the next couple days and you'll get the next couple episodes with Diane Boerstler and we're going to learn more about how she views copywriting and how she has helped so many small businesses increase their conversions by getting better copy in their listings and their web pages, whatever the case may be. So as a reminder episode number 79, that's what this is. Episode number 79 of the awesomers.com podcast series. All you have to do is go on over to awesomers.com/79 to see all the relevant show notes and details.